Born out of the synthesis of classical and modern elements, with CARLO a form has been created that perfectly implements the contemporary view of design. This Form is a convincing service with geometrically precise structures and playfully sweeping curved handles. 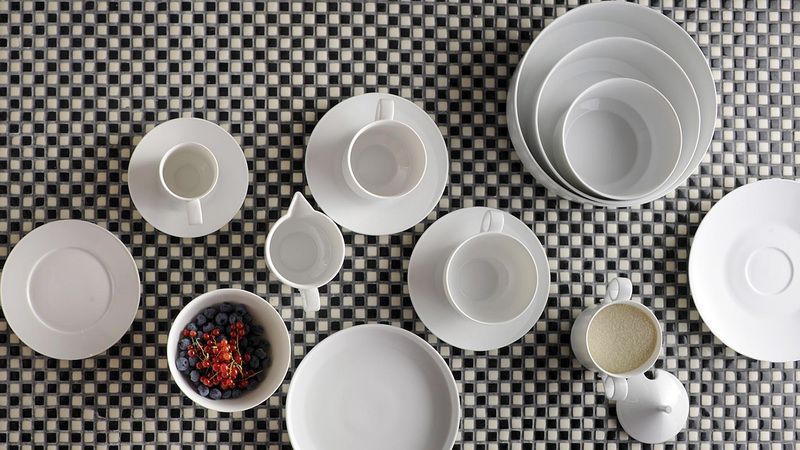 The passionate Italian designer Carlo Dal Bianco created the porcelain line in 2009 with a view of the obvious formal contrast which allows the achievement of a convincing emotional entity. 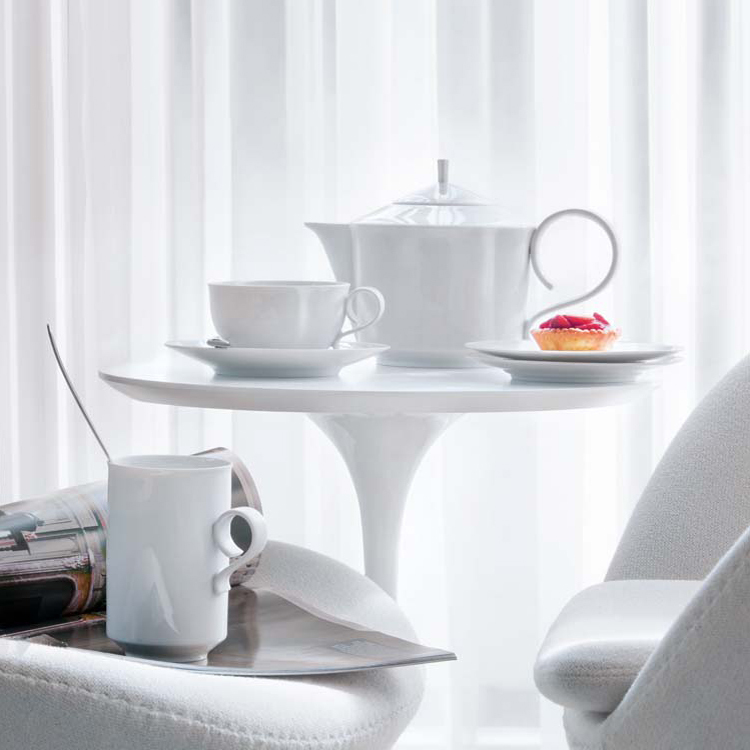 Porcelain that perfectly synthesizes classical and contemporary elements. Italian architect and designer Carlo Dal Bianco has an unmistakable soft spot for neoclassicism and the artistic styles of the 19th century. 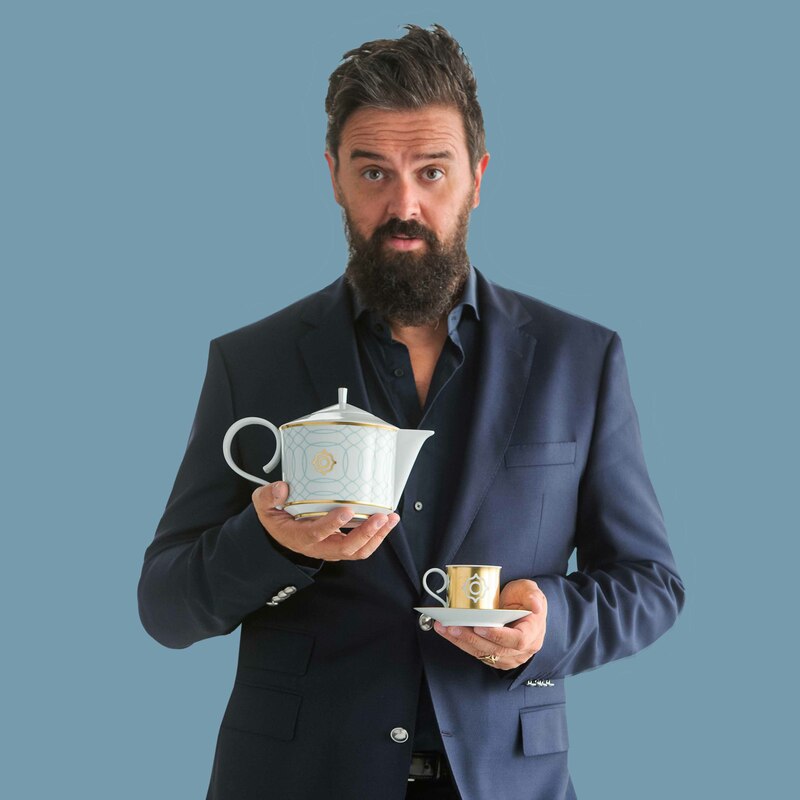 With his complete coffee and dinner service CARLO, he has succeeded in creating a formal design for porcelain manufacturer FÜRSTENBERG that marries elements from these periods with contemporary influences. The form CARLO was developed in 2009. The CARLO collection by Porzellanmanufaktur FÜRSTENBERG is based on geometry and precision. The hand-made handles on the cups, bowls, teapots, jugs of CARLO etc. add an especially charming touch. They form a beautiful spiralling or scroll-shaped curve which is reminiscent of a volute in architecture. The result is the elegant service CARLO, the form of which is further accentuated by the exquisite thinness and delicacy that is the hallmark of porcelain from FÜRSTENBERG. All items of CARLO feature the same simple geometric basic form, accentuated curve and typical ornaments. All the items in the CARLO collection are available in pure white. The pure white version of CARLO highlights the clear forms and curved surfaces. It also particularly brings out the delicate thinness of the porcelain. The service CARLO has an understated look that makes it easy to combine with table decorations or other decorative elements.